This is a professional isolated power supply for both battery operated and high current DSP effects. 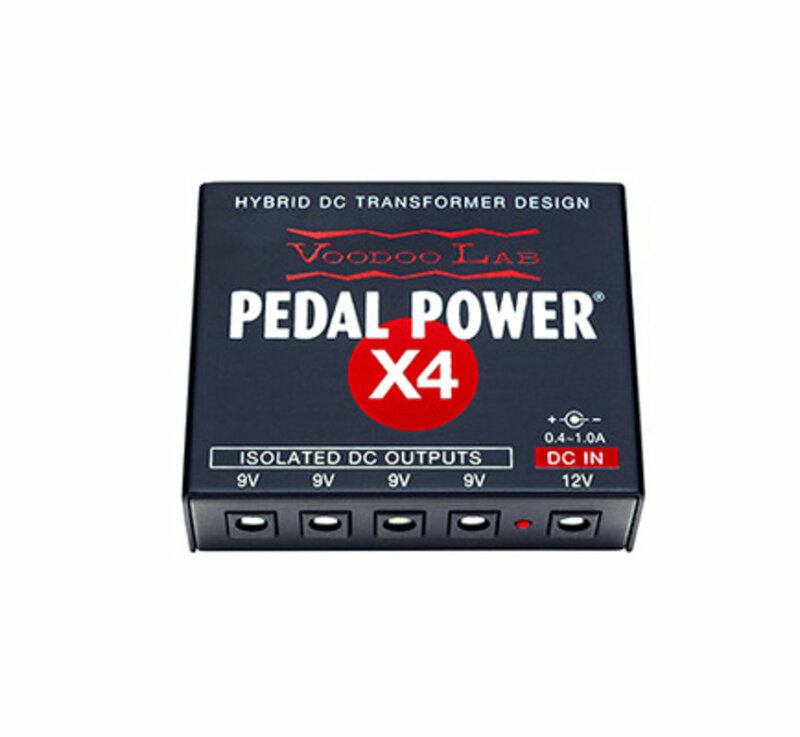 Its ultra-compact size fits even the smallest pedalboards and operates at any mains voltage for international touring. X4's innovative hybrid DC transformer design incorporates exotic components, linear regulation, and computer optimized filtering to establish industry-leading audiophile quality power that unveils the hidden sonic potential of your rig. 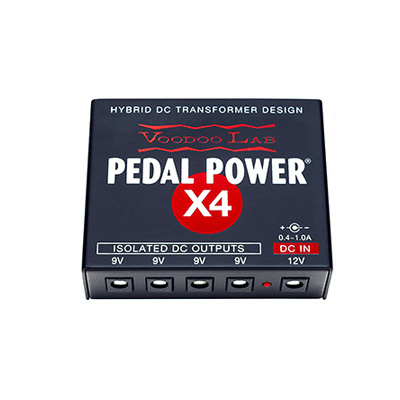 As well as delivering the cleanest, most reliable power for small pedalboards, Pedal Power X4 shines as a supplementary power supply in an expanding rig. 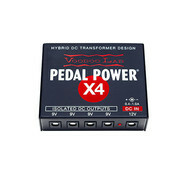 Powering directly from any 12V 400mA output or X-Link port, X4 adds four isolated outputs to an existing Pedal Power. X4 can also power from the AC courtesy outlet of a Pedal Power 2 PLUS, significantly upgrading both its isolated output capacity and high current capability !